ABC’s new quiz show is an unfortunate modern norm: a good game wrapped in poor, confusing production decisions. 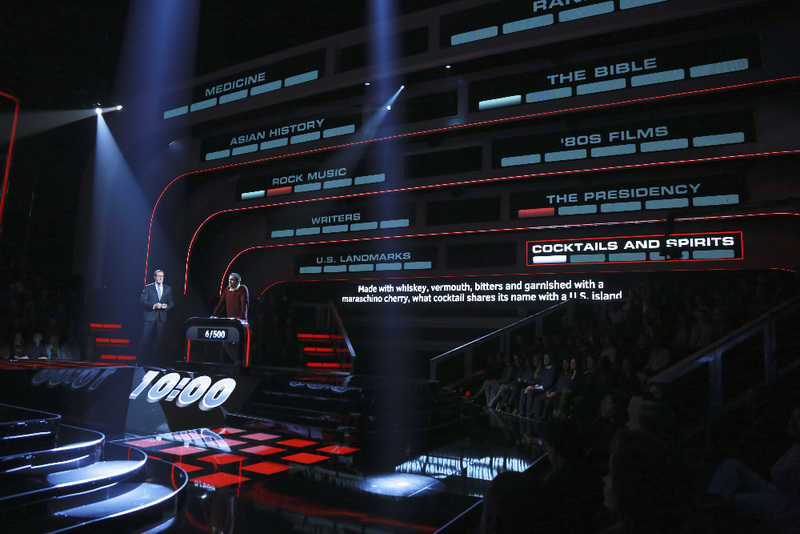 Genre producers and executives have been trying for some time to come up with the big event quiz show: something along the lines of a Who Wants to be a Millionaire or a Deal or No Deal. A show that everyone will be talking about in the morning. A show that everyone will tune in—somehow—so they don’t miss the next big thing. There hasn’t been a successful one since Deal or No Deal, and the last attempt was NBC’s spectacular misfire The Million Second Quiz. 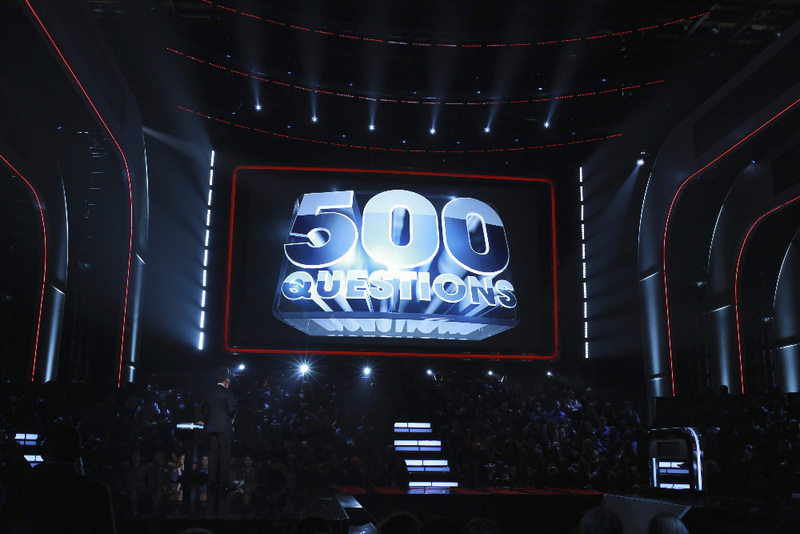 ABC is trying to recapture their Millionaire magic with the new quiz show 500 Questions. There’s good news and bad news. The good: it’s not as rough as The Million Second Quiz. The bad news is they dropped the ball. It’s not the game’s fault, and it could really cost them. The game, at its heart, is simple. One contestant faces ten rounds of 50 questions (totaling the aforementioned 500 Questions). Each round contains ten categories, each with five questions. The contestant can choose any category and has 10 seconds to answer as many times as he or she wants. Answer correctly and the contestant is safe. If the contestant’s first answer is right, he or she get $1,000. However, if the contestant fails to give a correct answer after 10 seconds, he or she gets a strike. Three wrong in a row and you’re out. A correct answer clears any strikes. There is an opponent who watches opposite the contestant and if the player gets two strikes, his or her opponent chooses the next category. After that, the game starts to get more complex, with many extra rules thrown in. There are different types of questions that can pop up at any time: a standard question is 10 seconds to answer; a Battle is a back-and-forth with the opponent to the first wrong answer (if the opponent is wrong, the contestants get a grand); a Triple Threat asks for three answers within the ten seconds for $3,000. There’s also a Top 10 which asks for 5 answers out of a list of ten. Also, every 25 questions is a question worth $5,000, but only for the first right answer. Contestants don’t bank any money until they beat the first 50 questions. On the plus side, the set is beautiful and how the show is presented is fantastic. There are giant archways displaying categories and questions and it’s visually stunning and functionally brilliant. 500 Questions, visually, is one of the prettiest quiz shows I’ve seen. Richard Quest, the host, is a mixed bag. When he just hosts the game, he’s fine, but he sometimes slips into Anne Robinson (Weakest Link) mode and acts terrifying for reasons I’m not quite sure of. I don’t see a real reason to get shouty and ultra serious when someone is risking $3,000. This isn’t the 70s. The question material should make quiz fans happy. Is it as diabolically tough as they make it seem? Of course not. There’s no multiple choice or lifelines, but they have to make it accessible to the average viewer. However, the material is tough enough that you should feel a Jeopardy!-level sense of happiness getting these right. While I have a minor gripe about some rules, feeling like they were suddenly thrown in, the different question types do keep it fresh. If you had to sit through 500 simple questions it would get boring extremely quickly. 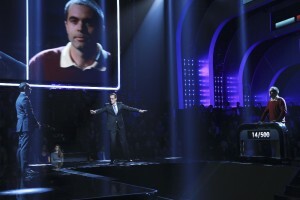 The variety keeps both contestants and viewers on their toes and offers lots of different challenges. The game itself is fine. I think you’d be searching for a while to find many game show fans who have big issues with the gameplay as a whole. The extras, which are essential in a show, really hurt. They stop the show from fully working. The most noticeable thing is the show is insanely cheap. It’s $1,000 per answer, but only if your first answer is right. Most of the time it’s not going to be. Cable networks beat this regularly. I’m aware money doesn’t make the entire show, but it certainly helps. 500 Questions is being extremely secretive with the money. If there’s more to this somewhere, like bonuses or money jumps, it would really benefit them to tease it and build up some excitement. We’ve seen footage of people who have answered over 100 questions and they’re still going for $1,000. I’m not asking for insane cash. I’m just saying you’re creating no tension or excitement for what some people can get calling an “R” on Wheel of Fortune. They can go on and on about the “journey” towards answering 500 questions, but in practice, no one cares. The biggest issue, though, is the pace. We got through about 38 questions in the first episode. By comparison to Are You Smarter Than a Fifth Grader?, it’s super-speedy. However we have Jeopardy! which asks 61 questions in 22 minutes. The Chase asks around 110 in an hour. We couldn’t even get through a single 50-question round on 500 Questions. I’m aware it’s the first episode but there wasn’t a tremendous amount of first-episode-exposition. Rules were explained briefly and contestant backgrounds took up two minutes, tops. I figured the show wouldn’t get through hundreds of questions in an episode. I was expecting at least a round, though. And this leads to the concept of the show. We’re now all aware that no one will get through 500 questions. It’s not insider information—anyone can see it. We got through just 38 on episode one. If this first contestant is eliminated from the game, we know the next person has virtually no chance at all of making it through 500 questions. And even if this contestant were to make it all 9 episodes (which we know they won’t, because the commercial showed more than two contestants) they’d have to pick up the pace significantly. We’d need about 58 questions per episode—which is possible, but they haven’t really proven they’re willing to go that fast. We’re going to count the questions through the series because if they don’t hit 500 questions, what really was the point? Watching 500 Questions was a shame. I wanted to love it. I enjoy the game itself. But they messed it up with such poor and confusing production decisions. The slow speed and bizarrely small prize payouts could kill this show, especially with an average audience who aren’t avid quiz fans. Millionaire worked because it offered something for everyone. It offered quiz questions for quiz nerds and pulse-pounding drama and fun for those that weren’t. 500 Questions doesn’t. It’s not as big of a misfire as many recent entries into the genre, and if you’re someone that can overlook the “show” element of a game show and just focus on the questions—and there are a lot of you out there—you’ll probably be OK.
500 Questions has a good deal of promise, with a great set and a pretty solid game that should make quiz fans happy. 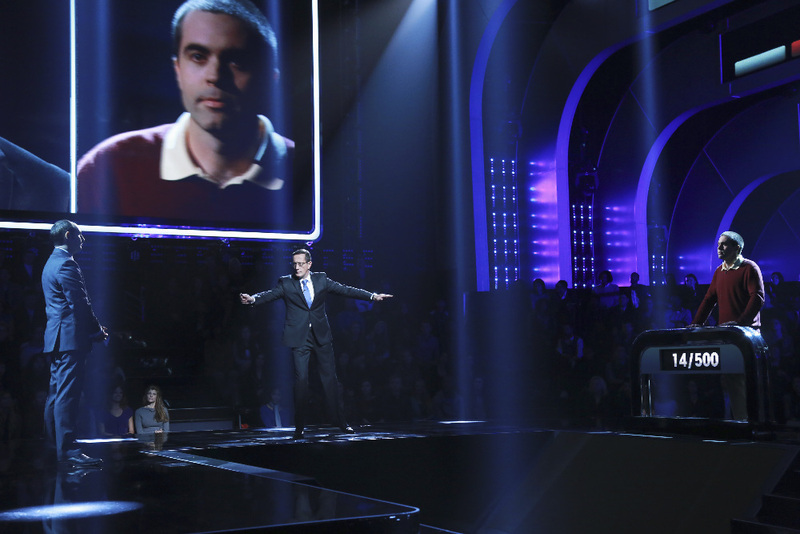 Even with the high degree of challenge in winning whatever the top prize is, the slow-in-comparison speed and bizarrely low cash stakes bring down the quality of this primetime quizzer.